We show that the BMS-supertranslations and their associated supermomenta on past null infinity can be related to those on future null infinity, proving the conjecture of Strominger for a class of spacetimes which are asymptotically-flat in the sense of Ashtekar and Hansen. Using a cylindrical 3-manifold of both null and spatial directions of approach towards spatial infinity, we impose appropriate regularity conditions on the Weyl tensor near spatial infinity along null directions. The asymptotic Einstein equations on this 3-manifold and the regularity conditions imply that the relevant Weyl tensor components on past null infinity are antipodally matched to those on future null infinity. The subalgebra of totally fluxless supertranslations near spatial infinity provides a natural isomorphism between the BMS-supertranslations on past and future null infinity. This proves that the flux of the supermomenta is conserved from past to future null infinity in a classical gravitational scattering process provided additional suitable conditions are satisfied at the timelike infinities. R.M. Wald and A. Zoupas, A General definition of ’conserved quantities’ in general relativity and other theories of gravity, Phys. Rev. D 61 (2000) 084027 [gr-qc/9911095] [INSPIRE]. A. Ashtekar and R.O. Hansen, A unified treatment of null and spatial infinity in general relativity. I — Universal structure, asymptotic symmetries and conserved quantities at spatial infinity, J. Math. Phys. 19 (1978) 1542 [INSPIRE]. A. Ashtekar, J. Engle and D. Sloan, Asymptotics and Hamiltonians in a First order formalism, Class. Quant. Grav. 25 (2008) 095020 [arXiv:0802.2527] [INSPIRE]. A. Strominger, On BMS Invariance of Gravitational Scattering, JHEP 07 (2014) 152 [arXiv:1312.2229] [INSPIRE]. S.W. 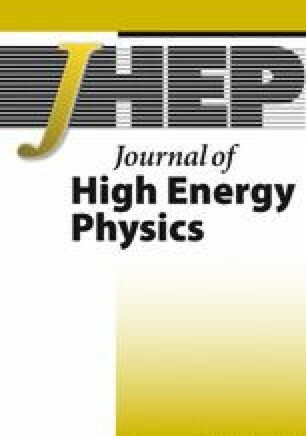 Hawking, M.J. Perry and A. Strominger, Soft Hair on Black Holes, Phys. Rev. Lett. 116 (2016) 231301 [arXiv:1601.00921] [INSPIRE]. S.W. Hawking, The Information Paradox for Black Holes, 2015, arXiv:1509.01147 [INSPIRE]. R. Bousso and M. Porrati, Soft Hair as a Soft Wig, Class. Quant. Grav. 34 (2017) 204001 [arXiv:1706.00436] [INSPIRE]. C. Troessaert, The BMS4 algebra at spatial infinity, Class. Quant. Grav. 35 (2018) 074003 [arXiv:1704.06223] [INSPIRE]. A. Ashtekar, The BMS group, conservation laws, and soft gravitons, talk presented at the Perimeter Institute for Theoretical Physics, Waterloo Canada (2016). Available online at http://pirsa.org/16080055/. G. Compère and F. Dehouck, Relaxing the Parity Conditions of Asymptotically Flat Gravity, Class. Quant. Grav. 28 (2011) 245016 [Erratum ibid. 30 (2013) 039501] [arXiv:1106.4045] [INSPIRE]. P.G. Bergmann, ’Gauge-Invariant’ Variables in General Relativity, Phys. Rev. 124 (1961) 274 [INSPIRE]. P.T. Chrusciel, On the Structure of Spatial Infinity. 2. Geodesically Regular Ashtekar-hansen Structures, J. Math. Phys. 30 (1989) 2094 [INSPIRE]. A. Ashtekar, M. Campiglia and A. Laddha, Null infinity, the BMS group and infrared issues, Gen. Rel. Grav. 50 (2018) 140 [arXiv:1808.07093] [INSPIRE]. D. Christodoulou, The Formation of Black Holes in General Relativity, in On recent developments in theoretical and experimental general relativity, astrophysics and relativistic field theories. Proceedings of 12th Marcel Grossmann Meeting on General Relativity, Paris France (2009), vol. 1-3, pg. 24 [arXiv:0805.3880] [INSPIRE]. V. Chandrasekaran, É.É. Flanagan and K. Prabhu, Symmetries and charges of general relativity at null boundaries, JHEP 11 (2018) 125 [arXiv:1807.11499] [INSPIRE]. P.T. Chrusciel, M.A.H. MacCallum and D.B. Singleton, Gravitational waves in general relativity. XIV: Bondi expansions and the polyhomogeneity of Scri, gr-qc/9305021 [INSPIRE]. M. Herberthson, On the differentiability conditions at space-like infinity, Class. Quant. Grav. 15 (1998) 3873 [gr-qc/9712058] [INSPIRE]. L. Bieri and P.T. Chruściel, Future-complete null hypersurfaces, interior gluings and the Trautman-Bondi mass, in Harvard CMSA Series in Mathematics. Vol. 1: Nonlinear Analysis in Geometry and Applied Mathematics, L. Bieri, P.T. Chruściel and S.-T. Yau eds., International Press of Boston, Inc., Boston U.S.A. (2017) [arXiv:1612.04359] [INSPIRE]. L. Bieri, Answering the Parity Question for Gravitational Wave Memory, Phys. Rev. D 98 (2018) 124038 [arXiv:1811.09907] [INSPIRE]. F.W.J. Olver et al. eds., NIST Digital Library of Mathematical Functions, http://dlmf.nist.gov/, Release 1.0.18 of 2018-03-27. 1.Cornell Laboratory for Accelerator-based Sciences and Education (CLASSE)Cornell UniversityIthacaU.S.A.